He’s become one of hockey’s biggest stars, but it hasn’t stopped Carey Price from remembering his roots or playing his part in helping kids chase their NHL dream. It is a heartfelt gesture and one that certainly isn’t out of character for an award-winning goaltender that continues to make a difference on and off the ice. With an assist from an equipment manufacturer, Price sent $10,000 worth of hockey gear, ranging from helmets to skates, to kids in the area around Williams Lake, B.C., the very place the 28-year-old got his start in the game. There are numerous beneficiaries of Price’s good deed, including three First Nations communities. Isnardy knows the equipment will be put to good use. Price, who heads back to his hometown of Anahim Lake (BC) during the NHL off-season, has always maintained close ties with his home province. He’s established a breakfast program in partnership with Breakfast Club of Canada at two schools in Anahim Lake. When Price, who was voted by his peers as the NHLPA’s 2015 Ted Lindsay Award recipient, set the Canadiens record for most wins (44) by a goalie in season, a note was posted on the Breakfast Club of Canada website. This achievement is the culmination of the hard work and determination Carey has consistently shown since his early days on the ice in his hometown of Anahim Lake, B.C. He may be a star now, but he cares just as much about the challenges faced by the children in his community. 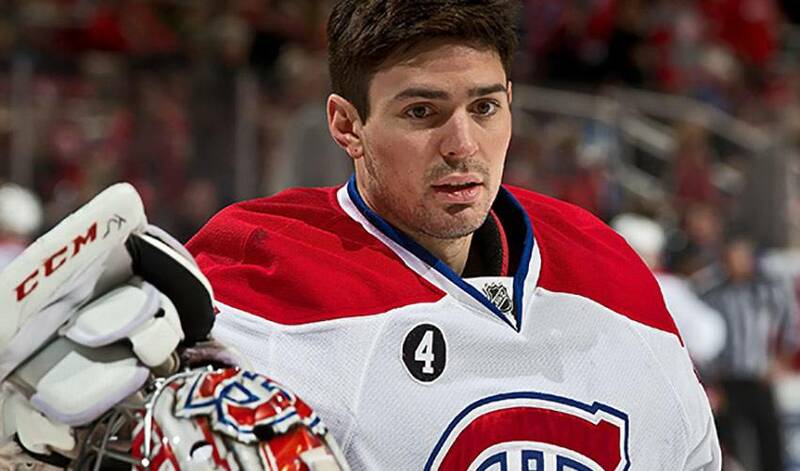 Carey’s record is about so much more than a number. It sums up just how important it is to never give up on your dreams. You may fall, but with determination and courage, not only can you get back up again, you can go further than you ever imagined. None of Price’s generous acts or the reactions to them comes as a surprise to Isnardy.